Are you having problems with your water heater? 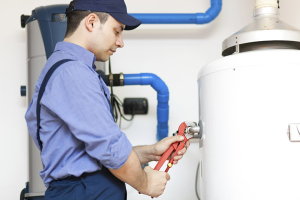 Need to replace your old, leaking water heater? Are you in need of an emergency water heater repair in Dallas, Texas? Rodger’s Plumbing is a family owned and operated plumbing company that specializes in water heater repair and replacement. Rodger’s Plumbing is an experienced Dallas, Texas plumbing company with a staff of fully licensed and insured plumbers who know how to get your water heater running again. Tank-type water heaters provide the amount of hot water the tank can hold. Tank size in gallons can vary, but the typical sizes for a single family dwelling are 40 or 50 gallon, and occasionally 75 gallon. The water temperature is maintained by the units burner. As you use the hot water in the tank, it replenishes with cold water. When the thermostat senses the water inside the tank is not at the preset temperature it will send a signal to ignite the burner. The burner will then start heating the cold water entering the tank. Tankless water heaters mean that there is no storage area to keep hot water. Therefore the cold water is flash-heated when you turn the faucet on. Once the heated water gets to the fixture you can have endless hot water streaming until you turn the faucet off. 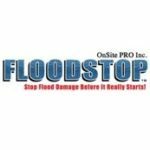 Areas In Dallas, Texas we serve include: Frisco, Hebron, Mckinney, North Irving, North Mesquite, Rowlett, Murphy, Wylie, Sachse, Garland, Allen, North Dallas, Richardson, Plano, Carrollton, Addison, Farmers Branch, Coppell, Highland Park, and University Park.